A Ideal Bed Reading Lamp You Must Have! Narrow beam gives off enough light to read by without lighting up whole bedroom, no disturb your partner. Adjust brightness to optimize lighting needs therefor create a comfortable ambiance for reading, reduced eye strain. 3000K LED beam produces relaxing light in bedroom, sufficient light to read by and lamp stays cool all the time. 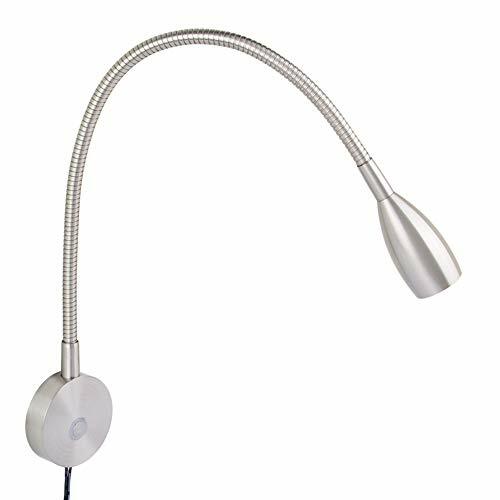 Flexible gooseneck helps adjust lighting angle to suit different sit or lie down posture for comfortable reading in bed. - LED Driver Cord: 50"
If you have any questions about this product by acegoo, contact us by completing and submitting the form below. If you are looking for a specif part number, please include it with your message.